Berlin (AFP) – Germany will put on a show of unity with the United States Tuesday in talks on importing natural gas, as Berlin battles accusations an under-construction pipeline deepens European energy dependence on Russia. “Germany and the US share an interest in secure and dependable energy supplies,” Altmaier said in a statement Monday. Some 16 of the EU’s 28 member nations share Washington’s fears, he added. On Friday she reiterated that “Germany has the right to secure its energy supply in a diverse way”. Earlier last week the intra-EU battle came to a head, when France said it would vote for common oversight of the pipeline — potentially allowing opposing member states to strew obstacles in its path. A near-unanimous final vote in favour of the compromise revealed “growing displeasure among the EU states over the attempted US influence”, a European diplomat told AFP Friday on condition of anonymity. 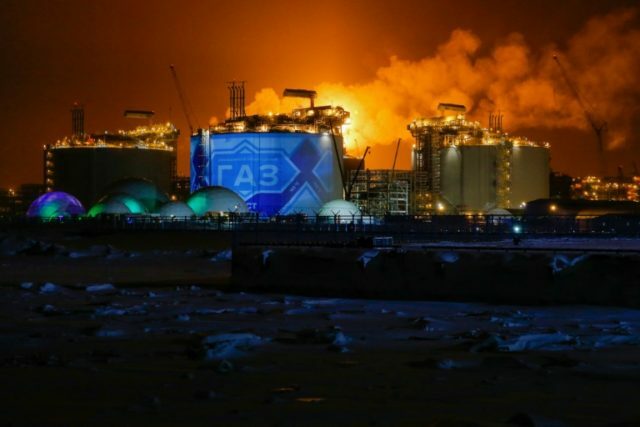 The Kremlin capitalised on the failure of American lobbying, as spokesman Dmitry Peskov accused Washington of “underhanded competition” by trying to encourage Europeans “to buy more expensive American gas”. Altmaier said Monday his meeting with Brouillette was simply an opportunity to “discuss the development of the LNG import market with companies and energy industry federations” from both sides of the Atlantic. “Competitive prices” for gas were a precondition of any import business, he underlined.